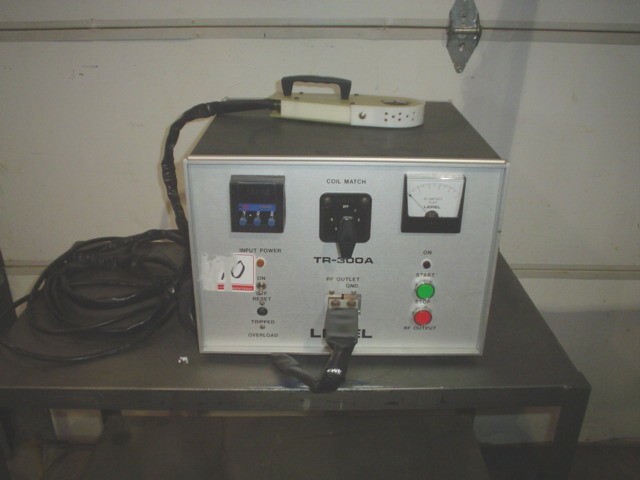 Used Lepel Table Top Heat Induction Sealer, Model TR300A. Serial #9229. Features: single hand sealer which can do up to 1-3/4" diameter caps. Equipped with adjustable heat and timer (dwell time) controls. 300 watt heating capacity and is air cooled. Electrics: 1Ph/60Hz/115Volts. Last used in a large pharmaceutical facility. Delivery time: Immediate.